Putter Fitting is the single most important golf club carried by golfers for turning steady rounds into great ones and yet are commonly overlooked when it comes to custom fitting. A putter must have a suitable balance to suit a golfer’s putting stroke traits should they want to get the best possible consistency in this part of the game. Should you play with a Face Balanced putter, a heavily toe weighted putter or indeed one the latest craze of Counter Balanced Putters? Truth is that without being correctly fitted your either going to compromise on the performance achievable on the greens or go through the costly experience of changing them regularly in the lucky dip putter lotto that many seem to participate in. 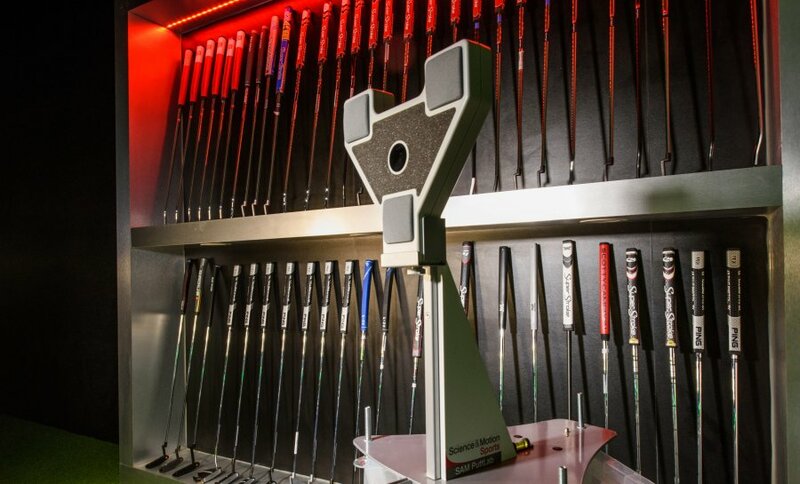 At CLG we use the SAM PuttLab Pro putter fitting software to insure you get the very best putter to suit you insuring that the weight, feel, head style, face design, lie angle, length and grip size optimised to your exact specifications. Custom Fit Sessions by appointment only.